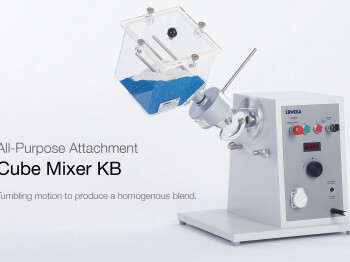 The cube mixer uses a tumbling motion to produce a homogenous blend within a short time. 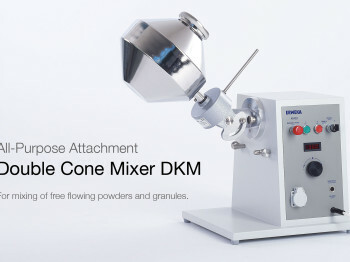 Double cone mixer for the mixing of free flowing powders and granules. 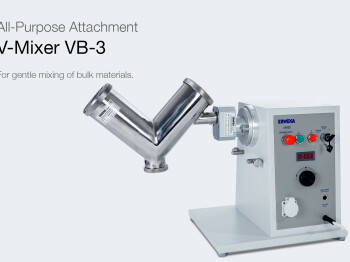 Drum hoop mixer with diagonal placement of the drum within the hoop. 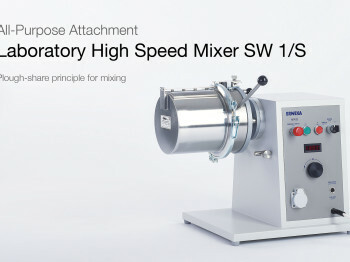 Laboratory High Speed Mixer SW 1/S Laboratory high speed mixer operating on the plough-share principle for the mixing of powders, granules and other products of fibrous nature. 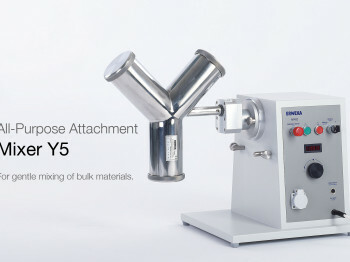 Mixer Y5 with Y-shaped mixing vessel for the gentle mixture of solid wellflowing materials (bulk materials). 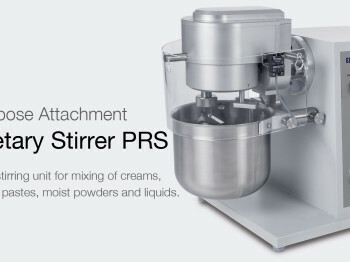 Planetary stirring unit for mixing of creams, ointments, pastes, moist powders and liquids. 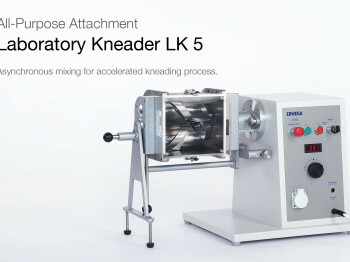 Laboratory kneader with stainless steel kneading vessel.